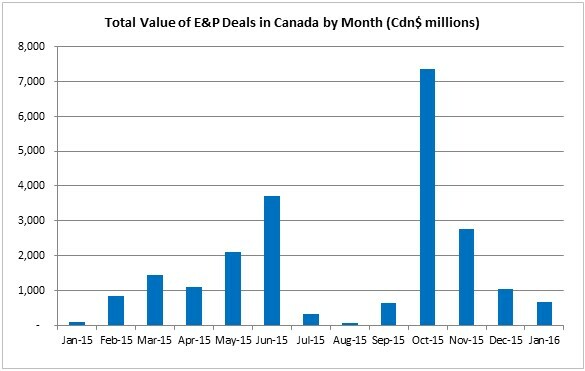 In April 2016, the total monthly value of M&A deals in the Canadian E&P sector was over Cdn$1 billion for the first time in 2016, according to analysis in CanOils latest monthly M&A report. 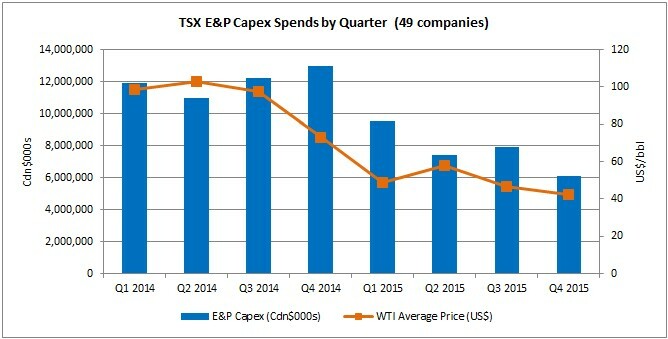 This is almost entirely due to Suncor Energy Inc. (TSX:SU) agreeing the biggest deal of the year so far to further increase its stake in the Syncrude oilsands mine by an extra 5% for Cdn$937 million. 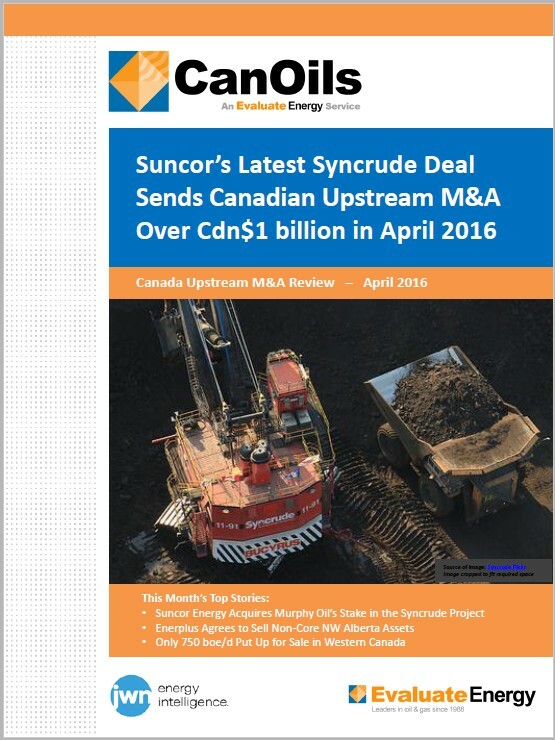 Suncor, of course, had already completed the Cdn$6.6 billion acquisition of fellow Syncrude partner Canadian Oil Sands Ltd., which was the biggest Canadian E&P deal to be announced in 2015. 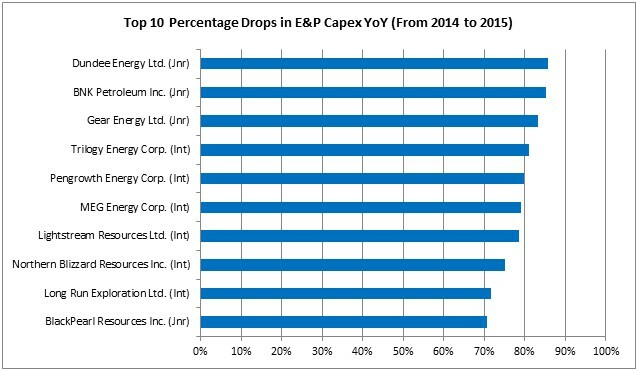 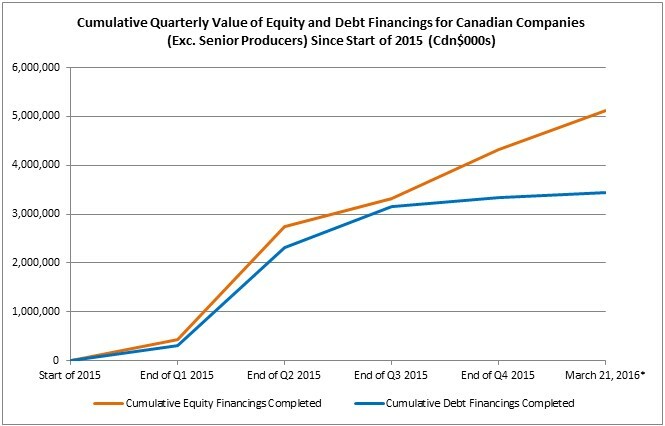 Aside from Suncor however, the Canadian E&P space saw a continuing lack of deals in April 2016. 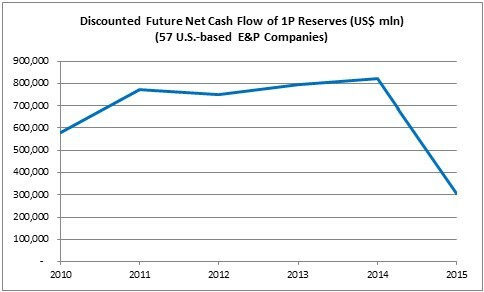 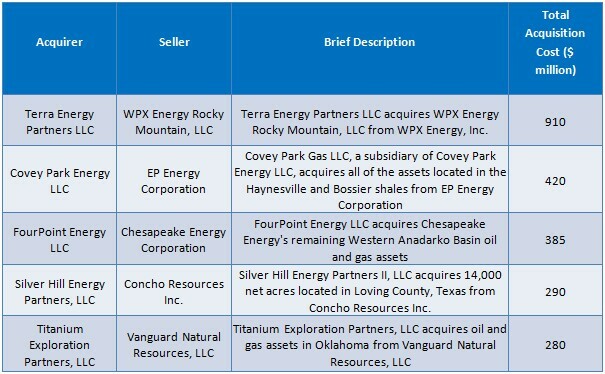 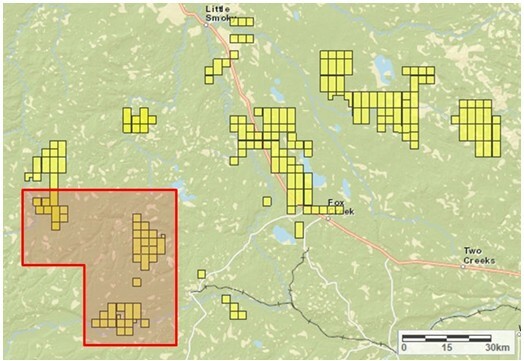 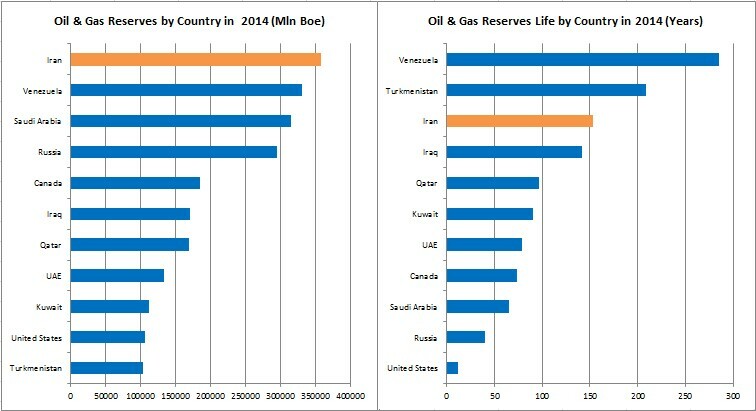 In fact, only three new deals were announced for Canadian E&P assets all month that had a value of over Cdn$1 million. 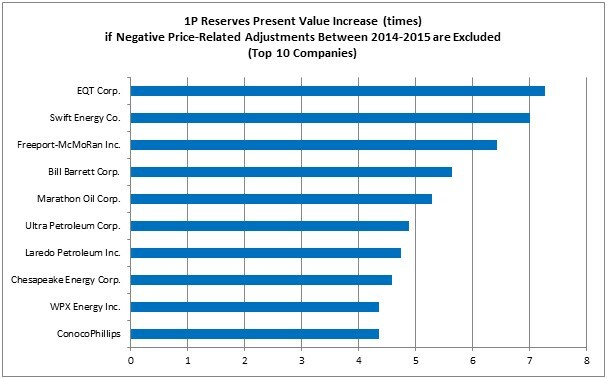 The low price environment is still holding back activity, with companies struggling to find buyers for assets they have put up for sale. 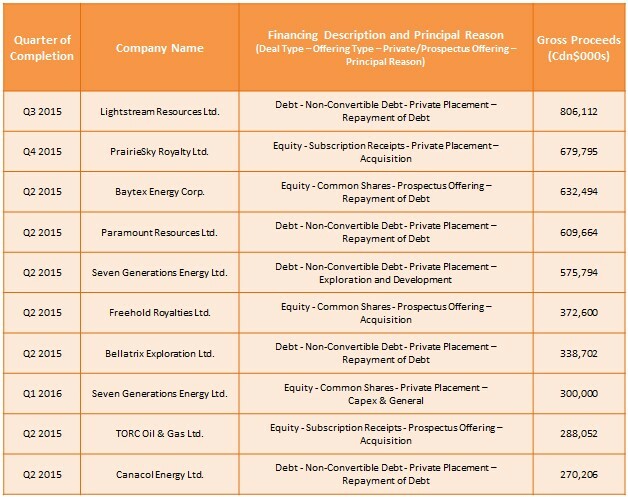 Analysis in Evaluate Energy’s new M&A report shows that Q1 2016 saw the lowest number of newly announced M&A deals in the global upstream oil and gas sector – 157, excluding licensing rounds – take place than at any time during the price downturn. 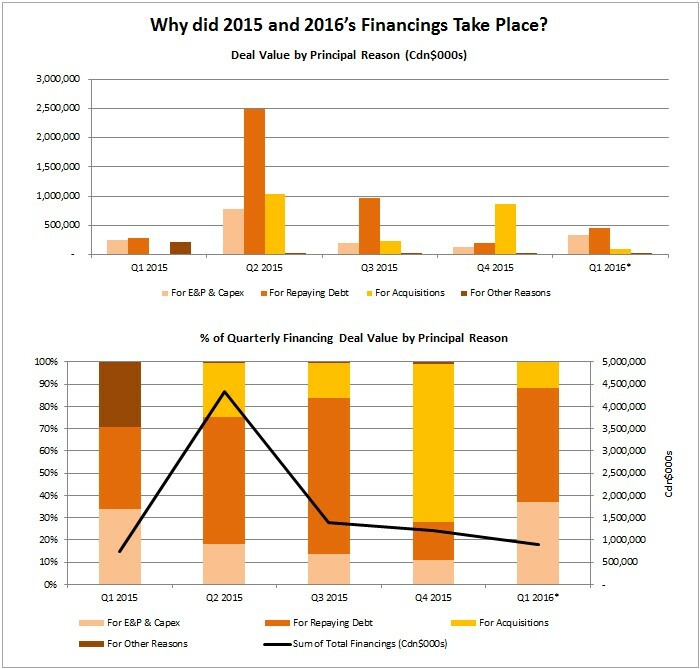 The previous lowest number of deals was recorded a year earlier in Q1 2015 and Q1 2016’s deal count was 11% lower than that. 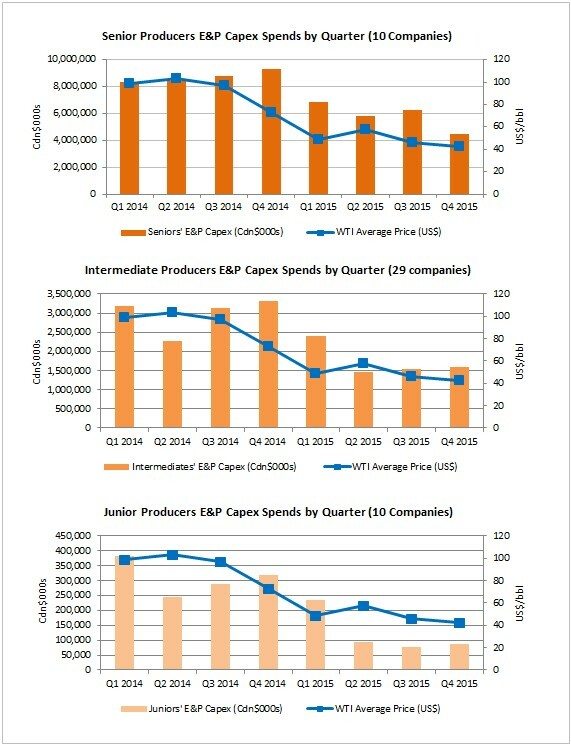 Low commodity prices are continuing to cause a lack of confidence in the M&A market, but with oil prices increasing – WTI averaged US$4.20 higher in March than in February 2016 – activity may pick up in Q2. 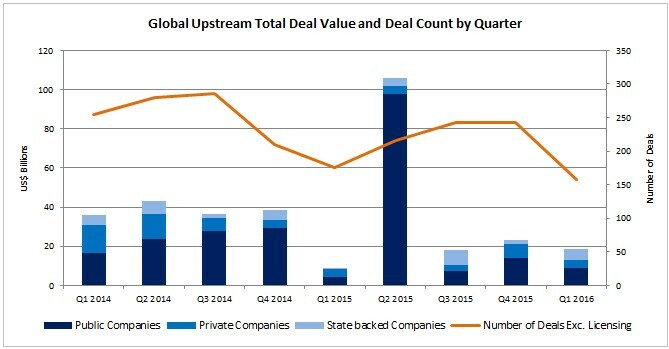 While the deal count was low, Q1 2016’s combined total deal value in the upstream sector of US$18.5 billion was also among the lowest quarterly values in recent times. 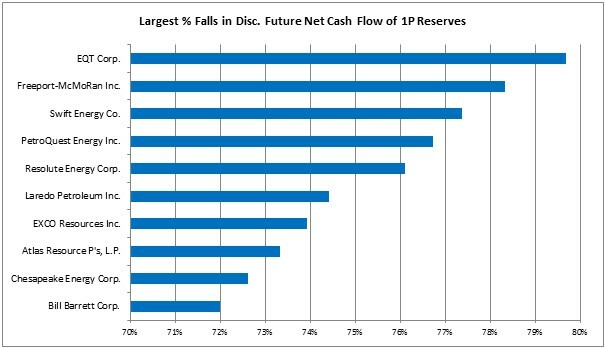 It would have been even lower, had it not been for a number of high value deals that bolstered the total considerably. 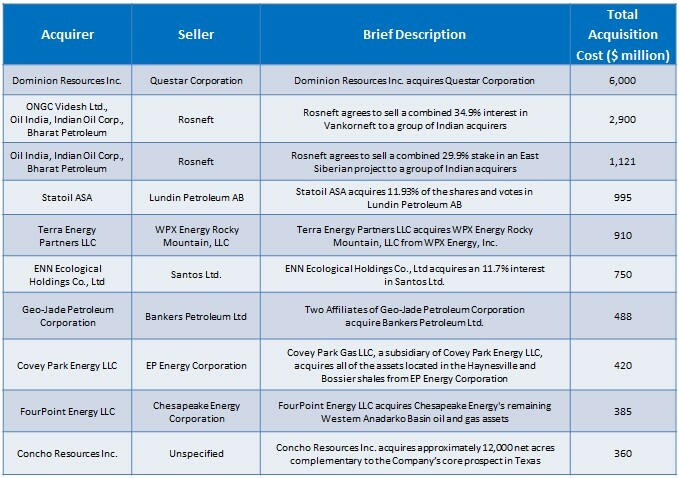 Dominion Resources Inc. (NYSE:D) agreed to acquire Questar Corp. (NYSE:STR) for US$6 billion in this quarter’s biggest deal and Rosneft made two multi-billion dollar asset sales in Siberia to a group of Indian E&P players. 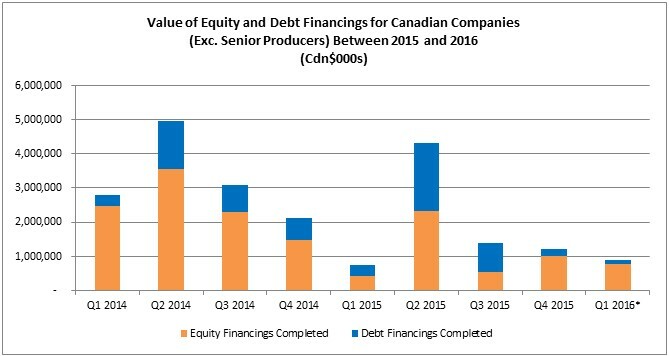 The quarter’s biggest deals in the U.S., Canada and around the world are analysed in detail in this report, which can be downloaded here.